Maelesa is thrilled to be Vice President of Membership for the 2018-2019 League year. She has been a member of the Junior League of Orange County since 2014. Maelesa chose the League out of the countless organizations in Orange County, CA for its dedication to the development of women’s potential and for its long standing ties to the foundation of many important public service organizations in Orange County. She has worked on several committees including: Impact OC, Human Trafficking, and Alternative Revenue. Additionally, in the 2017-2018 year, Maelesa served as a Provisional Advisor. 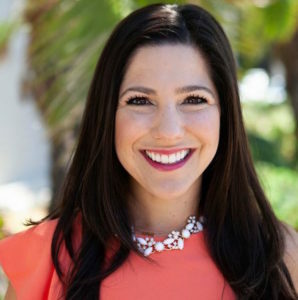 Maelesa holds a Bachelor’s Degree in Political Science and Theology from Loyola Marymount University and a Juris Doctorate from Loyola Law School, Los Angeles. Maelesa is a prosecutor for the County and has proudly served the public as a Deputy District Attorney since December of 2011. She also volunteers her time as the Programming Advisor for the Delta Phi chapter of the Delta Gamma Fraternity (UC Irvine). She enjoys hiking, Pure Barre, reading, and traveling around the world with her husband, Blake Street.